I despise packing for a trip. To be precise, I despise it immensely. I loathe every last detail so much I am ashamed to admit, a few times, I considered canceling my trip just because I didn’t want to pack for it. And if you knew how much I enjoy seeing new places and how I feel it is part of living a healthy lifestyle, you would understand it’s an issue! And, to make it even more tragic, I think I passed my “hate packing gene” to one of my daughters. One time before we left for a trip when we had an early flight to catch, I opened her bedroom door to remind her of the time. There, I found her throwing her entire closet in a suitcase just because – you guessed it – she hates to pack and had procrastinated and left the packing task to the very last possible moment! So, if you are in the “despise packing camp” like me and my daughter, I have a packing strategy to make it a little more bearable. Come see how I lessen the pain with a few travel multitaskers, a bag I always have packed ready-to-go as well as lots of packing hints from other travel masters that could help you, too! 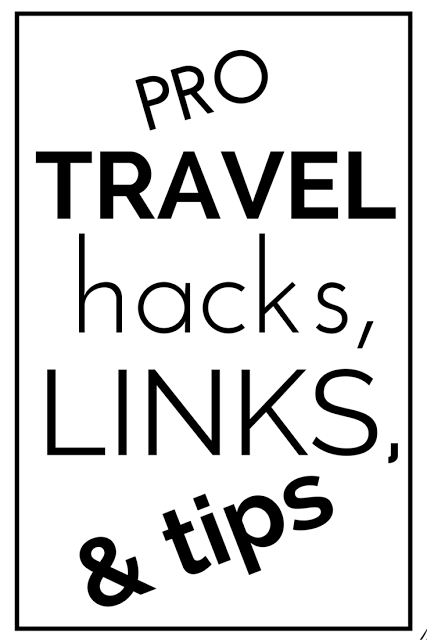 And, of course, I do hope you will add your packing and travel ideas in the comments as well! Despite my shuddering at the thought of packing, I know travel is necessary to connect with those I care about, learn new things and to stimulate my mind (all part of creating that healthy lifestyle!). It is inexpensive, and I can use it as a facial skin exfoliator, toothpaste, bee sting remedy and more. I am not the only one that uses it a lot as here are 31 other uses for baking soda as well! Don’t miss this: What to pack in that carry-on to make your time in the air feel just like home! Raw honey is best over the processed variety and here’s why. You can sweeten your tea and wash your face. This is the method I have used. I throw a few lemons in my bag to make my morning lemon water, and if I am going to the beach, sometimes my daughters and I rub it in our hair to lighten. Don’t miss this: You won’t believe all the great things you can do with those citrus peels! I wrote about how this is the hands down, much healthier salt to use for cooking but I can also use it as a body scrub (mixed in with a bit of my coconut oil) and a scratchy throat elixir for me, my family or anyone I am traveling with at the time. Having a makeup/toiletries bag ready to go at a moments notice really lessens my stress load in packing! Taking the time to set it up once and never again, with the exception of a few updates and refills here and there, makes me a whole lot more excited for my next travel adventure knowing part of my packing is already done! 1. I have tried a lot of make-up/toiletries travel bags and have learned you need one that you don’t have to dig through or even half empty out to find things to save a whole lot of time getting dressed. 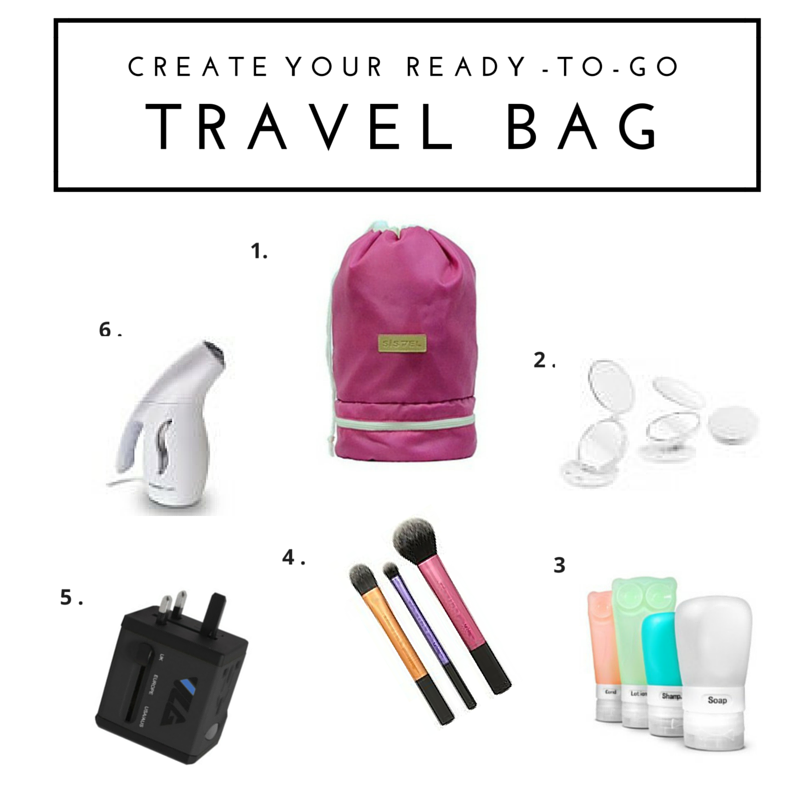 This drawstring functional travel makeup bag can easily keep you organized! It is roomy, easy to find things in and I love all the sections and the extra pockets. You can throw it in the washer after each trip, too! Great price and cute colors. 2. There are never enough mirrors when traveling (especially with daughters! ), so a light-weight, travel make-up mirror is a life-saver. If I am not using it, my daughters are! Stress-saving tip: Just make sure to refill your bottles soon after your return home so your travel bottles are ready for next time! 4. I purchased an inexpensive, well-rated extra make-up brush set like this one to keep in my travel bag leaving my other nicer set at home. That way I never forget a brush and never leave my better ones in a hotel bathroom! Plus, these are smaller and take up much less space. 5. This plug adapter takes up so little room, that I just keep it in my bag for international trips if I am lucky enough to plan one. It is well-rated and works great! 6. Another task I am not particularly fond of is ironing. I rarely iron anything before I pack it anymore because it is just so wrinkled by the time I arrive. But, this travel steamer is great to quickly make you look presentable and wrinkle-free. 1. Oh my! This guy is a packing ninja and takes only 15 minutes to do it. 2. International traveling takes a bit more thought. Here are important things to consider. 3. Make your travel dreams a reality with this step-by-step plan to get you there . . . even if it seems impossible financially or logistically! 4. Squeeze the most out of your travel adventure with these methods. 5. 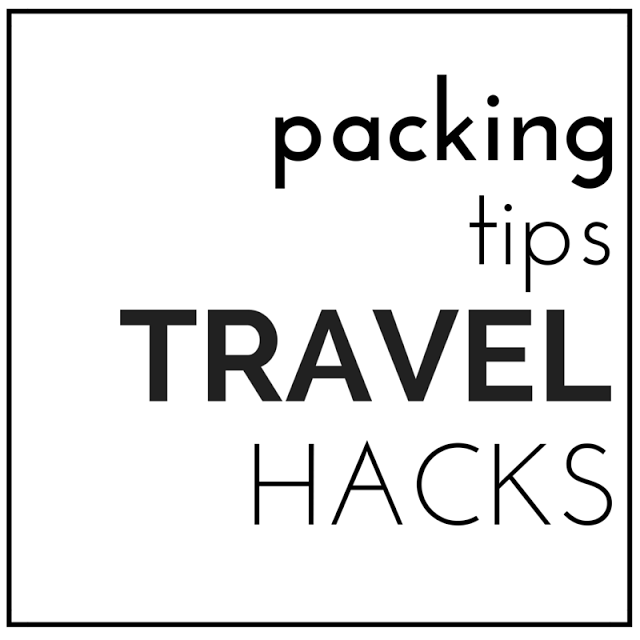 You can’t miss this fun and really helpful video on packing tips! 6. How and why traveling can enhance your health! 7. I don’t think I could manage this, but I sure do admire those that do: pack for a month in a carry-on. 8. Get every last detail here on packing lightly. 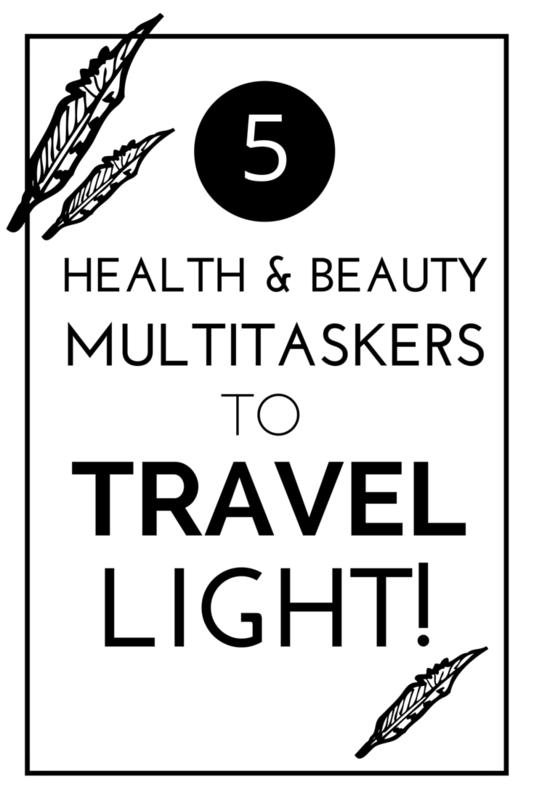 Consider throwing in your suitcase these other natural skin treatments! While you are packing, best do a quick look-over in your bathroom and see if there are some things you could easily replace with healthier options. Please share any packing suggestions, tips or let us in on your secret on how you psyche yourself to prepare for your travel adventures! After all, I need all the help I can get!This post previously appeared at THM but has been greatly expanded and updated. I never would have thought of most of these. Thanks. Happy to hear I helped give you some ideas to make the process easier! Thank you for taking the time to comment! Packing for trips has always been a challenge for me. It often feels like torture. Thank you for sharing your helpful and amazing Travel Tips To Pack Light With Ease Every Time the with us at the Healthy Happy Green Natural Party! I’m Pinning and sharing this! I hope they help you with this challenging part of travel, Deborah! Thanks for sharing, too! Yes, I totally need to have a little to go back ready for travel! I haven't tried any of the nature beauty treatments, but I am intrigued! Most work really well and you can feel good that they are chemical-free as our skin absorbs whatever you put on it. So happy you took the time to comment. I appreciate that. Cool ideas and tips. Love the reference links too. Saw you at the Pin Junkie Pin Party. Happy Memorial Day Weekend and Travel lite! Nancy A. To you as well, Nancy! Those links bring you to some amazing ideas! Thanks so much for coming by – great to see you here! Practice makes perfect! Good for you, Liz. I hope to be there soon! When I pack I put in everything that I might happen to need. But the thing worse than packing is unpacking when I get home. Your tips were very helpful. Ha! Oh yes, unpacking is not that fun either . . . and the laundry! But, traveling is still worth it all! Thanks for the laugh, Kathleen! Sounds like you adhere to packing light, indeed, Launna! How about a trip to see a friend, or even a day trip near you – getting out of town for an overnight or even just the day can do wonders for our perspective and mental health. I wish you a great weekend, too! And thanks for stopping by! So glad the tips may help you. Happy travels and better packing! Hello and thank you for the great packing tips. I must say that I am terrible at packing and prefer to take my entire closet with me, so I have "options". I am always envious of people who are able to pack only a few things and create incredible outfits with what they got. 🙂 Have a great holidays! Heavy sigh! Right there with you. I am getting better but packing is still so painful! All great packing tips! Not a great packer here either. I usually bring lemon/lemon essential oils on the trip in case the water is iffy to purify it. My other tip is just not to bring too many clothes, not exactly rocket science, but I find I'd rather wash clothes than carry them! The essential oil idea is intriguing. I have never heard that before that it can purify the water. Great tip to consider. Thanks for adding in, Laura! You always have great ideas.